Recycle energy and save costs! Simply use the potential energy from the lowering and braking movements of your application. Our MOVIDRIVE® MDR regenerative power supply units take care of the rest, they feed the recovered energy back into the supply system. 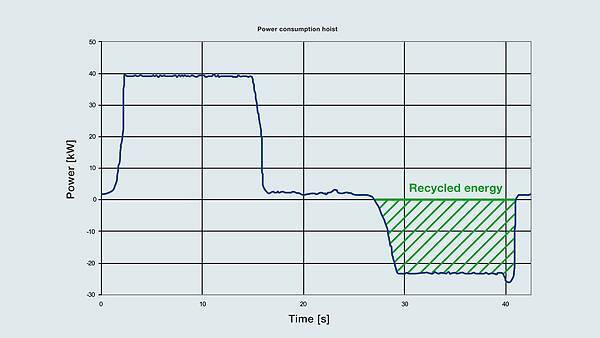 Is potential energy from lowering and braking movements converted into waste heat in your applications? Put a stop to that! Use our MOVIDRIVE® MDR regenerative power supply units to harness the regenerative energy of your drives. 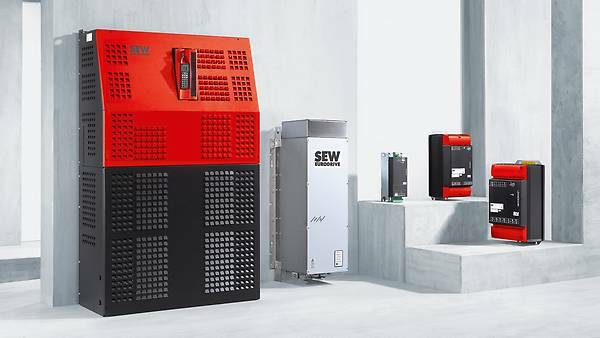 The MOVIDRIVE® MDR regenerative power supply unit acts as a centralized supply and regenerative power supply unit for the connected inverters. They can be used in combination with our MOVIDRIVE® B drive inverters and MOVITRAC® B frequency inverters. Several inverters can be connected to the MOVIDRIVE® MDR in a DC link connection. 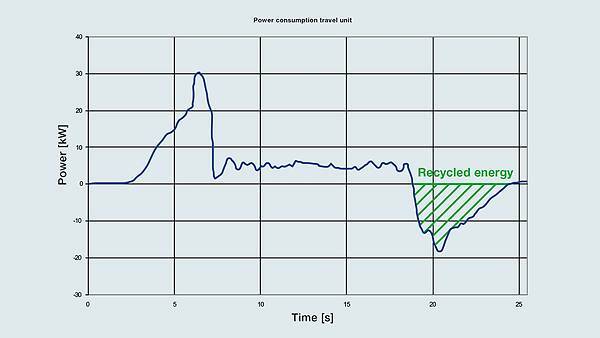 MOVIDRIVE® regenerative power supply units reduce the total energy consumption. Braking resistors mean that the installation environment does not heat up and that any air conditioning is no longer needed. Braking resistors no longer need to be installed in the control cabinet. It works as a centralized supply and regenerative power supply unit, i.e. It works as a brake module, i.e. MOVIDRIVE® MDR60A.. regenerative power supply unit / MDR61B..
Start using the MOVIDRIVE® MDR regenerative power supply unit and increase energy efficiency simply, quickly and sustainably. Using the lifting axis as an example, the power measurement on an SRS shows the regenerative energy fed back into the supply system. Using the travel axis as an example, the power measurement on an SRS shows the regenerative energy fed back into the supply system.